Get to Harris Teeter today! 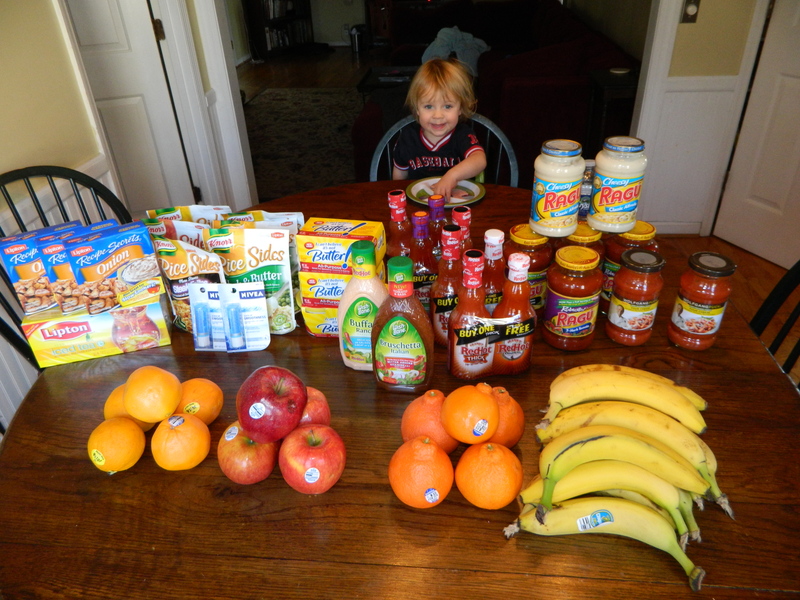 This is a last minute blog post about some GREAT deals at Harris Teeter that end today whenever your store closes. This is my score of loot today and guess how much i paid for all of this?? If you have a Harris Teeter in your town, go to any drug store, pick up 3 Sunday papers and come back and finish reading my post. 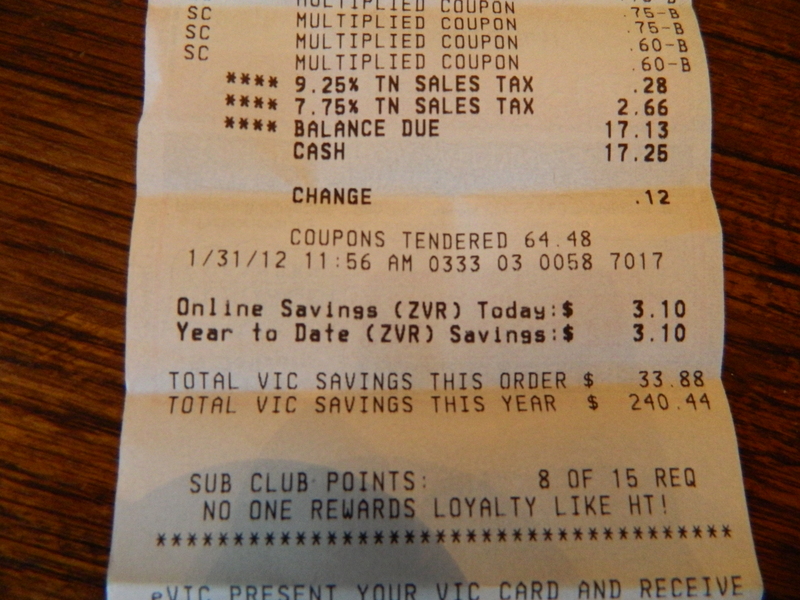 *Remember that Harris Teeter will double any coupon up to $.99 everyday, they do limit you to 20 coupons per visit. Also the coupon can’t say “don’t double” on it. Another tidbit of savings, i know i’m packing a lot of info in a little space and probably losing all of you. 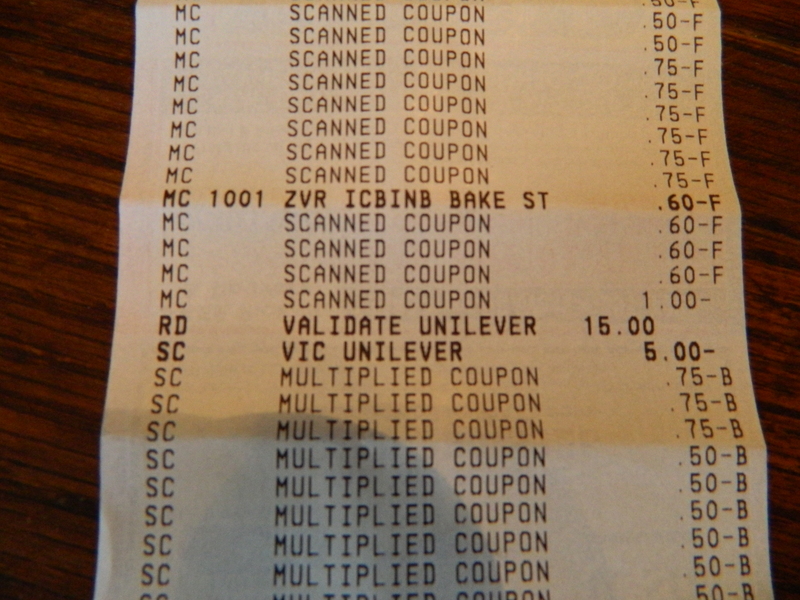 But when you buy $15 worth of Unilever products (1-7 are all Unilever products) you automatically get $5 off your bill (see pic below)! One of my favorite things about Harris Teeter is the “reduced for quick sale” produce. I don’t know why other stores don’t do this. What it is- is a big baker’s rack with a bunch of produce that is bagged with a price tag on it. It’s all around $1. 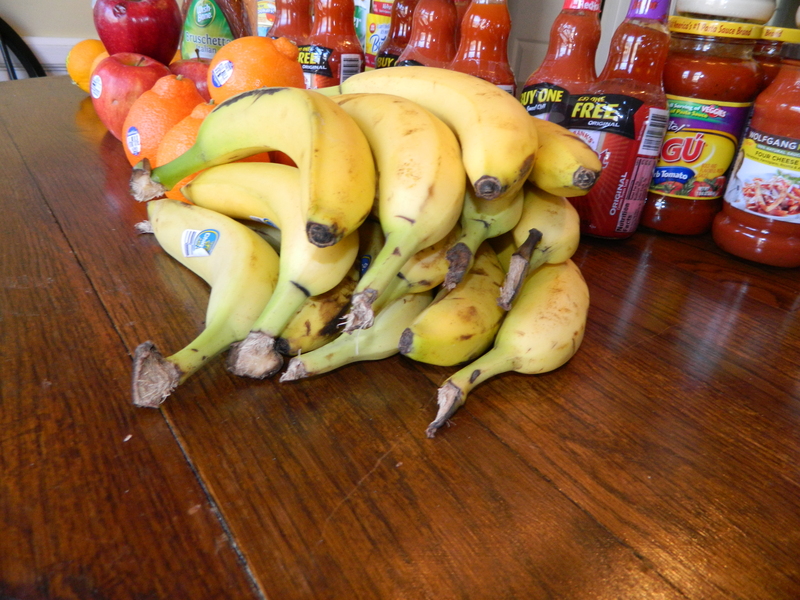 The bunch of bananas in the picture were $1. 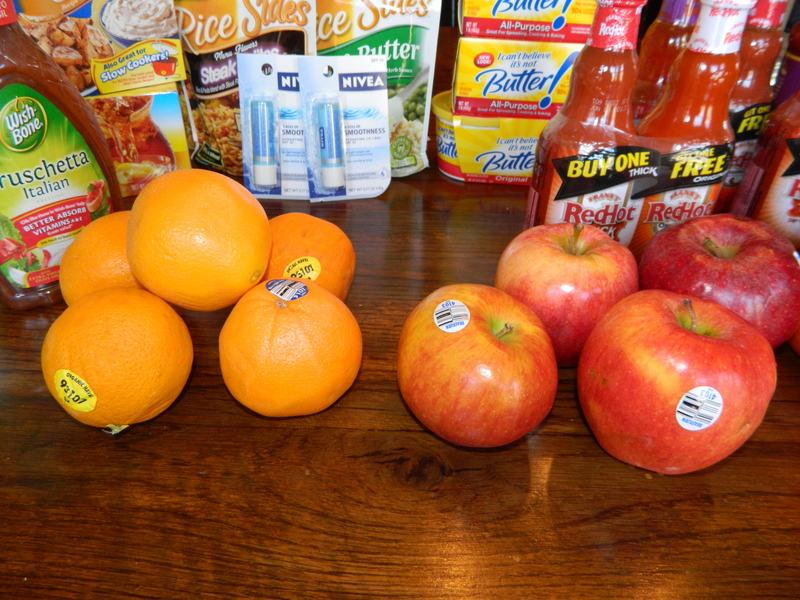 The group of organic oranges were $1. The apples were $1.50. So if you make it to HT, be sure to look for the rack in your store. That’s if for now. I hope some of you can get your coupons together and make a trip! Also ask customer service for a rain check if they are out of a product to be sure you can get the sale price whenever it comes back in stock. « Buying a bed today.